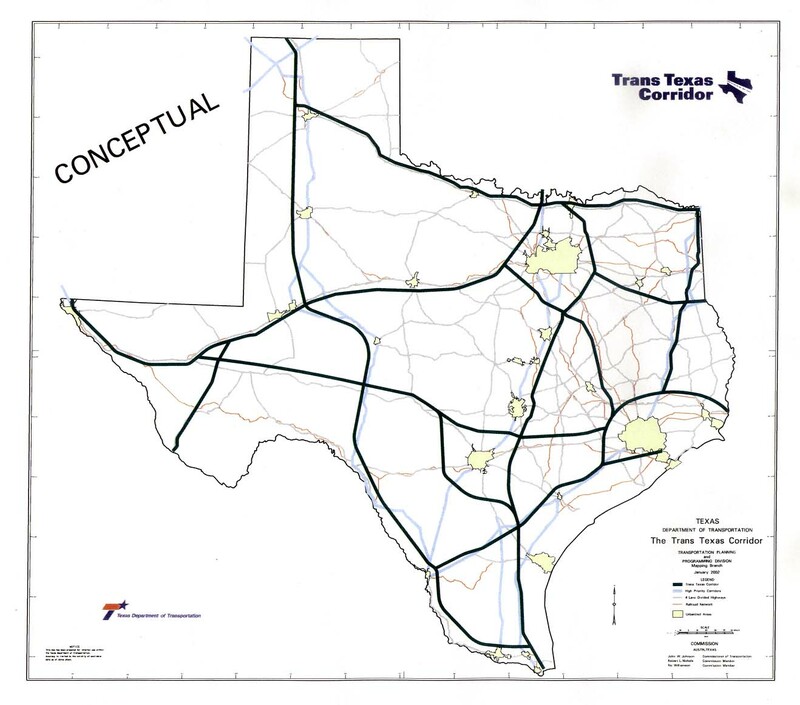 Which highways were initially going to be involved in the Trans-Texas Corridor? I-35 in Texas, then depending on which superhighway it can take you all the way up to Minnesota (then to Canada using MN 61) or up to Missouri then up I-29 to Canada. I-35 and US 59 (future I-69) were the major ones. But the original TTC plan called for some east-west corridors and some rather far-fetched routes, such as US 67 as the American component of the Entrada al Pacífico corridor. I think the TTC map must still be on the Web somewhere. I think these corridors might have been useful for I-35 and the proposed I-69, but only if the rail lines were kept in the median. I also think something like this should have been considered more for I-70 across Missouri.